Subject description: Do you know the way? The Scarab APC is the Preferred Troop Transport for the Syndicate's Troops. 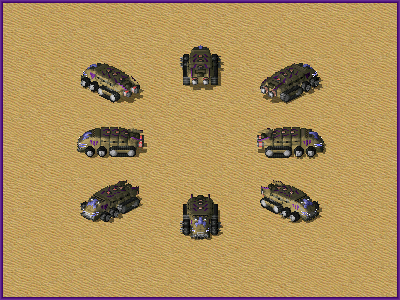 While it lacks any normal means to defend itself the Scarab can instead take on a supportive role once infantry are deployed. Much like the Rage Drone and Berserker Tank the Scarab APC is loaded with chemical canisters that can bolster your own forces. Should the APC perish the chemicals also detonate buffing up your own forces should they be in its range.